We have two clinics in Surrey; Dorking and Bagshot. Dr Tinisha Kennedy and Dr Georgina Evdoka-Burton are registered HCPC therapists working with children and adults. They offer a variety of therapies including CBT, for difficulties such as anxiety, depression and trauma. Autism assessments for children and adults are also available. We have a lovely clinic in Bagshot, a short distance from junction 3 of the M3, and a 5 minute walk from Bagshot station. Head for the bottom end of the High Street, the clinic is directly opposite Domino’s and the Library. There is free parking for 2 hours behind the Co-op or in the street. Dr Georgina Evodka-Burton has her clinic here. She specialises in working with adults with trauma, anxiety, depression and domestic abuse. 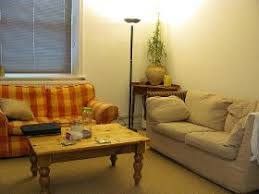 She is trained in CBT, and also uses DBT and compassion based therapy. The Brockham clinic is situated between Dorking and Reigate (5 mins drive from Dorking and just a little over 10 mins from Reigate). We are also within easy reach of Leatherhead and Horley. 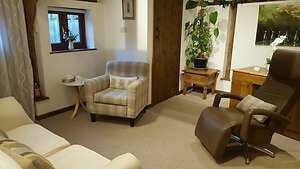 There is private parking immediately outside the clinic and easy access to the ground floor treatment rooms. The room here is set apart from the main barn, with its own entrance and car parking area, therefore offering privacy and quiet. There is a comfortable waiting area with free refreshments and magazines. Dr Tinisha Kennedy has her clinic here. She specialises in working with children and families as well as adults and is trained in CBT, DBT and EMDR. If you would like to make an enquiry, please contact Avenue Therapies central office through the contact details on this website. NB: For the Brockham village clinic: Satnav users – If you come via the A25 and through Brockham village, after you have crossed the bridge into the village your Satnav may tell you to turn right into Old School Lane. This route is very narrow and uneven in places, so it’s safer to continue on past this turning and after a mile and a half, turn right into Brockhamhurst Road. Roothill Lane is half a mile along on the right hand side. Once you arrive, you will see the main clinic barn (with glass doors) on the right as you drive in. The Counselling room (with stone coloured double doors) is on the far left of the main building.